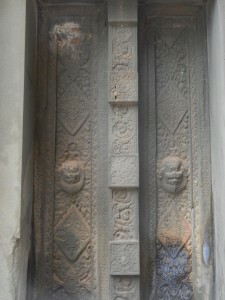 Preah Ko’s central section’s shrines have many false doors like this one. A very fancy design for a door. No Wall Street or Silicon Valley exec would dare attach one to his office. Where did the Khmers think it would lead? Part of the answer lies in its details. 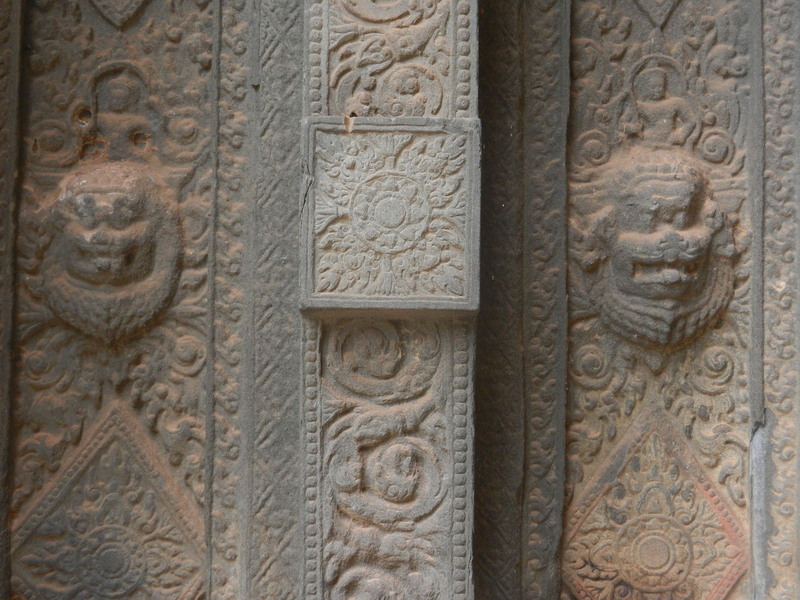 Every inch is densely carved–mostly with thick vegetal patterns, as the columns that flank Preah Ko’s doors are. 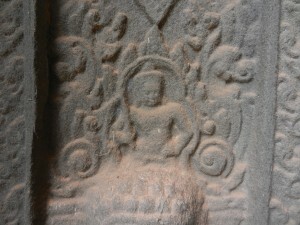 And as on the columns, gods and heroes are embedded in the vegetation. These images might seem fanciful to Westerners, but they’re not too far from real life in Cambodia. 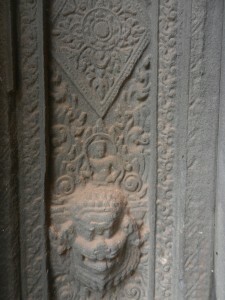 When Preah Ko was built in the late 9th century, people were clearing jungles for the growing population’s rice crop. They wanted to keep wild vegetal growth at bay, and foster enough crop growth for a large state to flourish. Here’s a close-up of the shot before the one of the little goddesses. 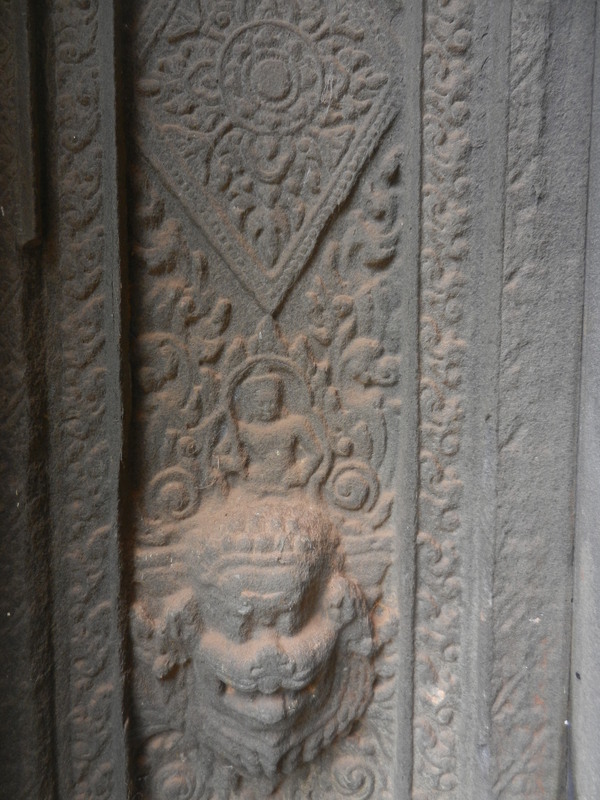 The carvings are dense and animated, as though they have potency to bring the rains and to keep the Khmer political house in order–do what the king says because he’s linked with nature’s powers. But they’re also supremely elegant. 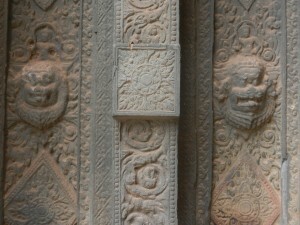 This other false door (reconstructed) at Preah Ko also has this balance between power and refinement. The doors may be false, but the dream they lead to is real. They embody the great powers of nature in this land of searing heat and thundering monsoons. But they render it tame and benevolent, so people can live well with them. 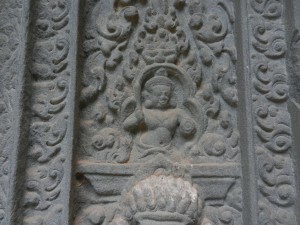 The Khmers who built the first large Cambodian temples used dense and refined designs profusely. 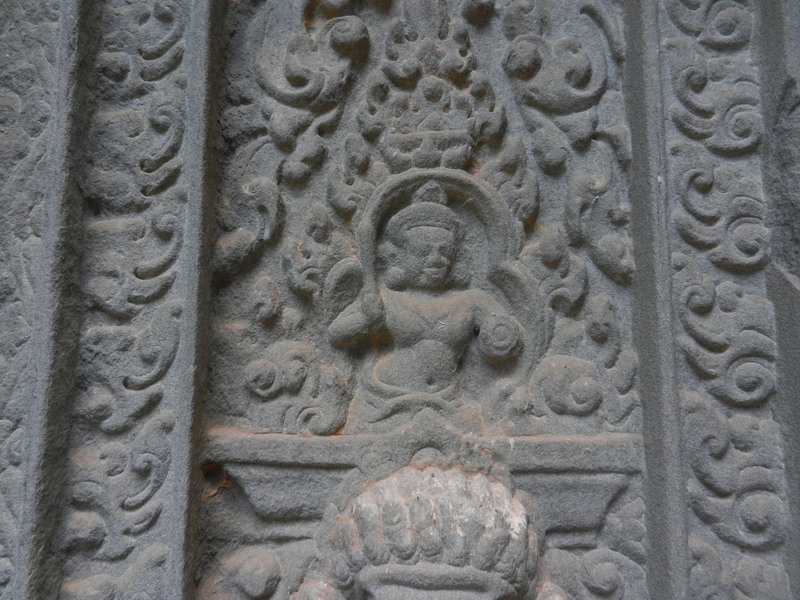 They stuck–their followers carved them throughout Angkor’s history, and many Cambodian artists still do. 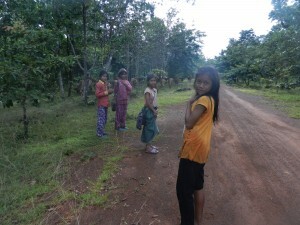 They still captivate people in Cambodia–and in many other countries. They blend strength and softness as well as any art I’ve ever seen. Cambodia’s government is horribly corrupt while most people are poor. It falls so short of this old Khmer dream of state-ordering power and gentleness that it’s a farce. 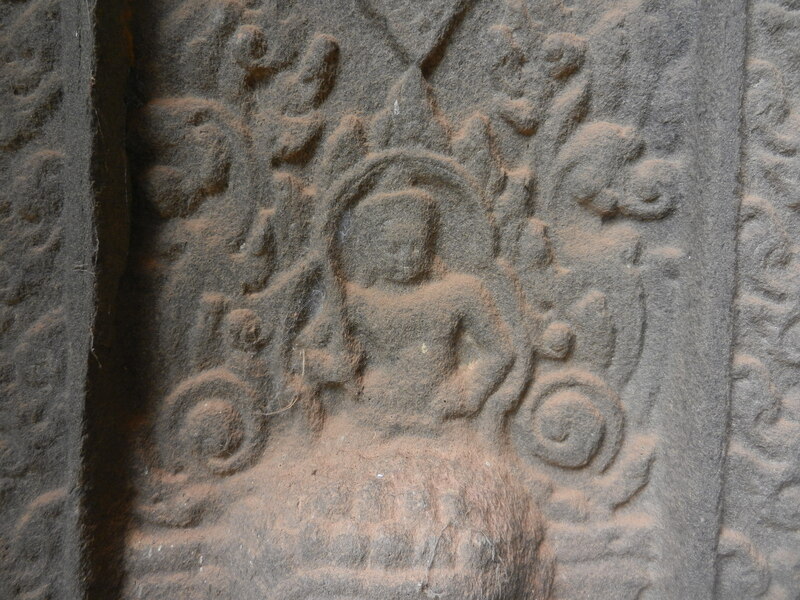 Cambodia’s little divinities deserve better. There’s no better place to go than Preah Ko to learn what a society should aspire for.